The transgender military ban imposed by President Donald Trump went into effect Friday, ending the careers of over 13,000 trans service members. In response, many public figures from the worlds of politics, entertainment, and activism took to social media to blast the discriminatory policy. Chief among them was Hillary Clinton, Trump's challenger in the 2016 presidential election. "The administration's ban on transgender servicemembers begins today. It is abhorrent. Every American should be able to serve their country, and I can't believe we're still debating that in 2019. We have to reverse this as soon as we can." 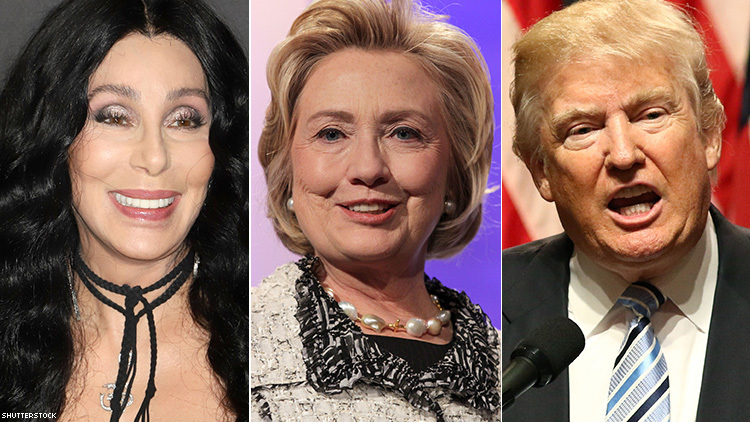 Cher, one of the LGBTQ community's greatest allies, also took to Twitter to express her heartbreak about the ban, which she saw as "another example of Trump pandering to his rightwing base." Donald Trump's discriminatory and cruel #TransMilitaryBan goes into effect today, but the fight to protect these patriots is far from over. Transgender people who have volunteered to serve in our military make this nation safer. We see you, we hear you, and we stand with you.